We had the opportunity to review 101 Ways To Conquer Teen Anxiety from Ulysses press a quick Hands-On work book authored by Dr. Thomas McDonogh and Jon Patrick Hatcher, that's full of exercises that have been clinically proven to manage anxiety. Nationwide surveys have reported that teens are significantly more stressed than any other generation. In this work book teens will find a variety of easy stress coping methods for dealing with parents, school, friends or all of the above. Cognitive behavioral therapy is widely used and a popular anxiety therapy among clinicians. This work book will help teens accept the existence of their negative emotions and choose to respond in healthy ways from repetition of positive mantras to mindfulness mediation and diaphragmatic breathing. Dr. Thomas McDonald a licensed clinical psychologist in San Francisco California specializes in working with teens and adults suffering from anxiety panic and stress. John Patrick Hatcher a professional nonfiction writer runs a website called state of anxieties.com that focuses on coping with relationships and breakups. This work book offers dozens of beneficial quizzes, activities, tips and illustrations to help teens with their anxiety. Teens will learn to identify the most common anxiety triggers and learn essential skills to prevent anxiety attacks. The workbook will help teens understand options of therapy and medication. 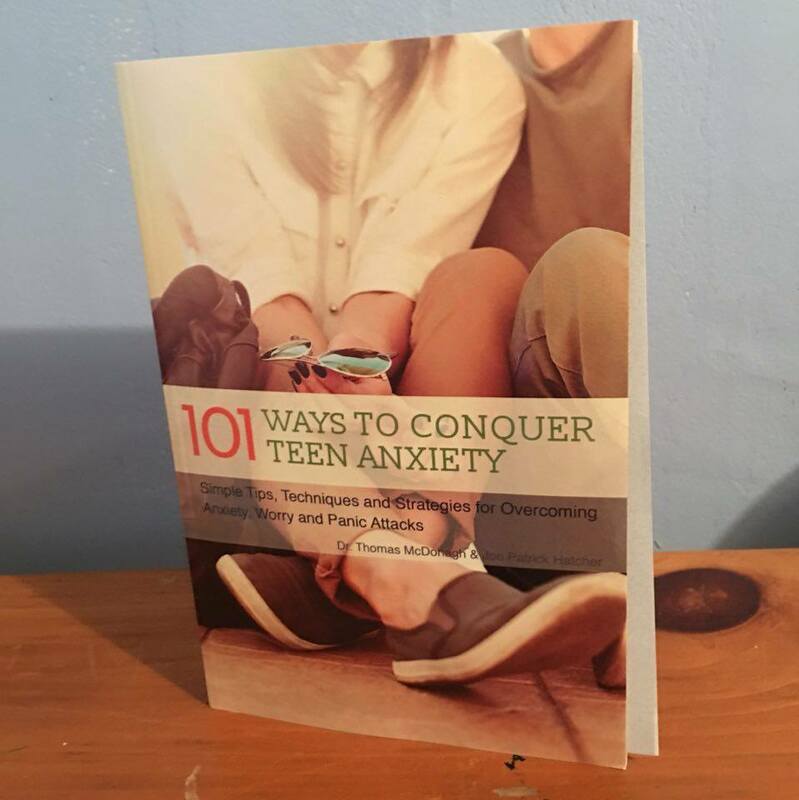 This is a wonderful resource to have if your teen is suffering from anxiety. I have suffered for about 20 years with anxiety, stress and panic attacks. I remember being 16 years old getting my first anxiety attack. I was scared and confused and positive that I was dying. I wasn't diagnosed until five years later, after many E.R trips where I was convinced I must of had something so terrible doctors didn't know about it. Now two of my teens deal with panic and anxiety. Just in the past week I got a phone call that one of my sons was in the emergency room with chest pains and I knew right away it was most likely his anxiety. I'm grateful for the resources like this so my children don't have to spend the years that I did confused and afraid. My boys are also very interested in this work book, they both feel like anxiety controls them, and if something might help they got to try! We are actually going through this at the moment with our son as he is faced with extra pressures at school with extra classes being added for all students. It sounds like something that would be useful for him at the moment. I hope he finds a balance between comfort and pushing to succeed. My 8 year old gets himself so worked up over the littlest things and thinking I need to read this now as a head start for him! Ah, poor boy. I also had anxiety at a young age. I hope it gets better for him.